Delivering an expansive and smart way of training table tennis at your leisure, the Butterfly Amicus Start table tennis robot can be placed and adjusted to your liking, it features an easy to understand interface and provides a supreme way of improving your technique, reaction time, coordination and footwork. 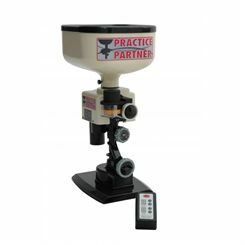 The robot can play up to 100 balls per minute, and utilises up to 6 balls per drill with the same spin, trajectory and velocity, also it features a random shot option to re-create a more natural, realistic playing experience. There is a lot of variety for players including different shot types: topspin, sidespin, backspin and even float balls – which is excellent for keeping your drills diverse and expanding tactical repertoire. The robot can be navigated with an optional pocket key-fob-like remote control, and it arrives with a convenient transport bag for proper storage and protection while travelling. 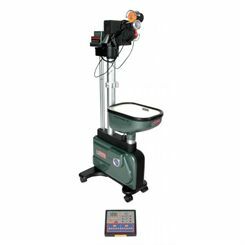 The Practice Partner 60 table tennis robot is a feature-packed, robust machine suitable for home, school and club use and equipped with a remote control with a self-programming option. The robot has an oscillating head and a double spin wheel; it can produce all spin and float variations. The service speeds of the Butterfly Practice Partner 60 table tennis robot range from 25 to 95 balls per minute. The stand with 4 wheels makes it easy to move the machine around. Apart from the ball holder and recycling system, the robot also includes a collection net. 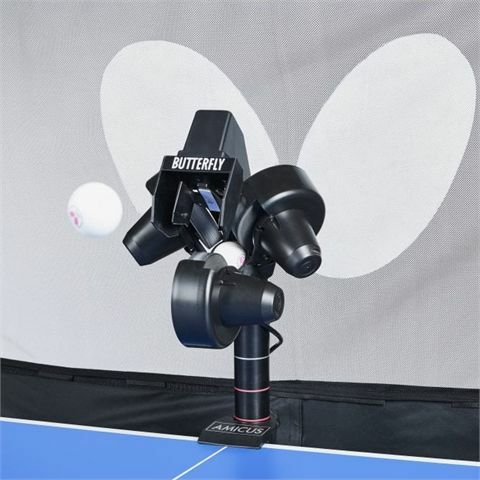 Improve your technique and footwork with the Butterfly Amicus Expert table tennis robot featuring a clear, user-friendly interface and a ball frequency of up to 120 balls per minute. 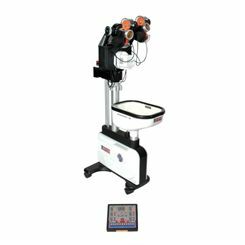 The robot allows for adjustable individual placement and stores up to 99 drills of up to 7 balls each. It enables you to control trajectory, speed and spin of each ball and has 20 pre-installed exercises created by Butterfly coach, Richard Prause to make every training session both versatile and challenging. Test individual balls within a drill using Sample function or choose Cycle function for interval training. Plus, there is Random shots function to let you enjoy realistic playing experience. This robust and solid piece of equipment comes with a lightweight, key-fob-like remote control that easily fits in your pocket and includes a practical transport bag. The Butterfly Practice Partner 30 table tennis robot will work great whether used at home, school or in the club. The robot can produce topspin, backspin and sidespin with up to 8 different spin variations to help you improve your performance. 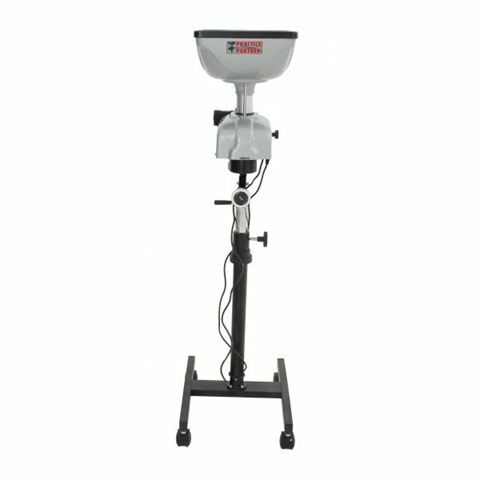 The control box is truly user-friendly and the ball feeding unit has been manufactured from alloy with resistant rubber to stabilise the ball direction. The robot can serve 30 to 90 balls per minute and place them to one point and to alternate parts of the full table. 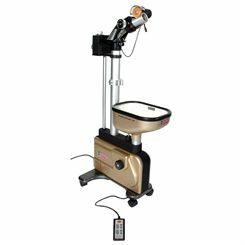 It has 10cm adjustable height and includes a stand with 4 wheels for easy transportation. It is also supplied with a collection net.